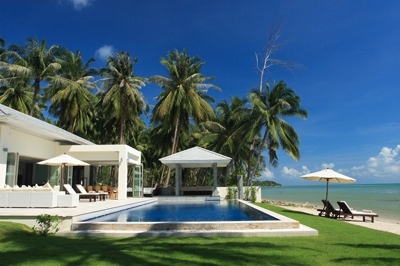 "Book an Exclusive Koh Samui Luxury Villa Today"
The choice of villa accommodation on Koh Samui is now broad-ranging. 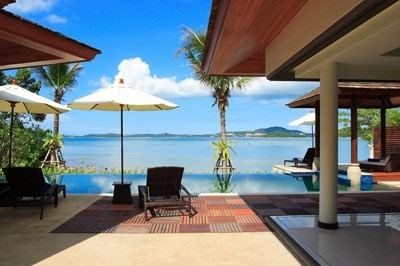 In addition to popular mid-range 2-bed detached family homes, there are also plenty of exclusive high-end 4+ bedroom villas for sale and rent on Samui. 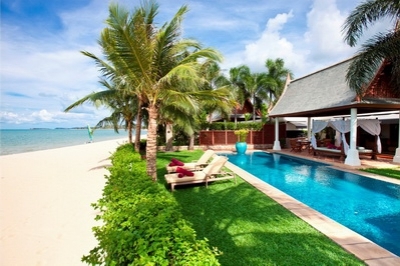 The busier south-east side of the island including Lamai, Chaweng and Bohput hosts most of the mid-range villas, with the relatively untouched north and west coasts proving popular for more exclusive villa's boasting private beachfront, or panoramic ocean views. With the increasing difficulty in obtaining beachfront land, hillside plots are becoming popular and can provide stunning sea-views. With prices varying widely from 3-4 million baht at the budget end of the spectrum, for compact 1-2 bed bungalow-style villas within residential developments, going right on up to 40 million and beyond at the high-end. Prices are generally cheaper than those in Phuket, and certainly represent value in comparison to Europe and other western markets. 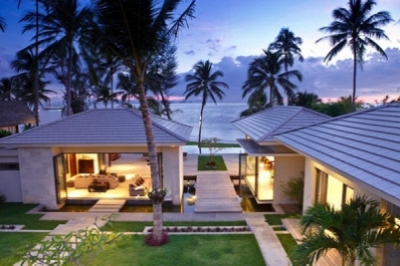 Contemporary Asian/Balinese architectural styles are prevalent with emphasis on open plan interiors, maximizing outdoor spaces and a combined use of natural materials and globally sourced interior fittings. 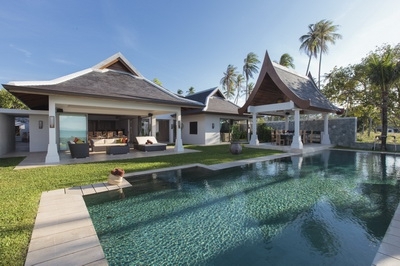 Resident interior designers and landscapers are also adding individualism to the islands housing stock, so it is possible to find tasteful and well-priced villas on Koh Samui. 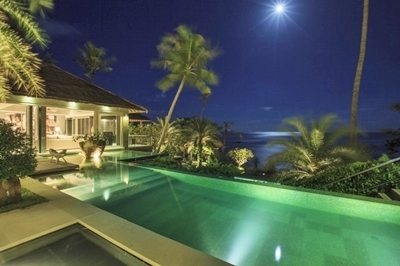 Thai style villa and the perfect choice for a group of friends or families sharing. 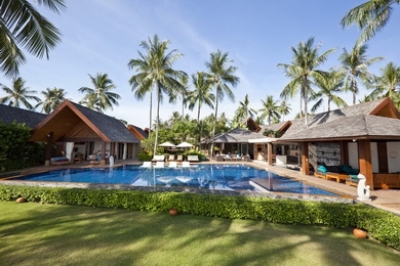 -shaped central swimming pool draws your eyes across the property to the incredible view across the ocean to Koh Phangan. bedrooms all with sea view offer high-class accommodation for discerning guests. 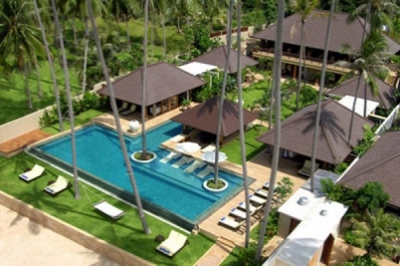 beachfront living spaces with upper storey cliffside, ocean view bedrooms, Baan Benjamart is a chic, contemporary 4-bedroom private residence with a full range of luxury comforts. Floor to ceiling glass doors surround the villa's 2 generous living pavillions and each folds open onto the cool blue seaside infinity pool that literally pours into the views across peaceful Bophut bay. A western kitchen with a private chef, two comfortable upper floor ensuite double bedrooms and a downstairs twin make this a sophisticated, exclusive family holiday retreat.